For the longest time, people have been paying thousands of dollars on ‘healing stones’ and special talismans that promise to bless the owners with better health and dispel negative energy. 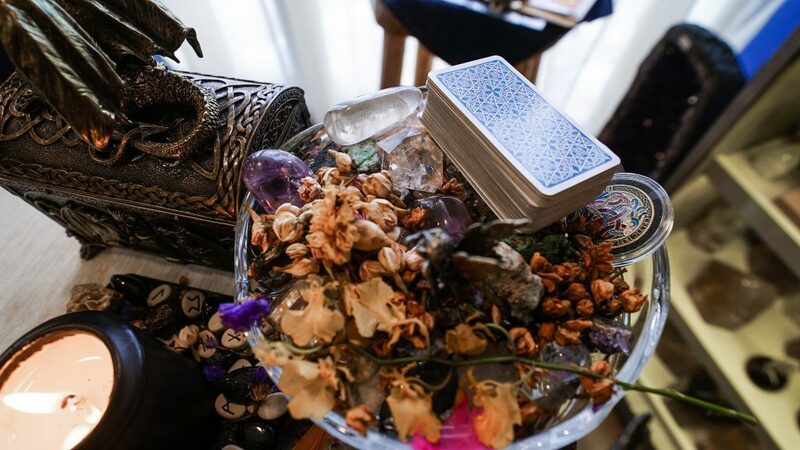 “Scam”, “gimmick”, and “manipulative” are just some of the terms that come to mind when one thinks of anything spiritual, and that includes tarot card readings, fortune telling, and the sorts. But do they really deserve to be dubbed as such? And if they are, why do people still buy into things like these? 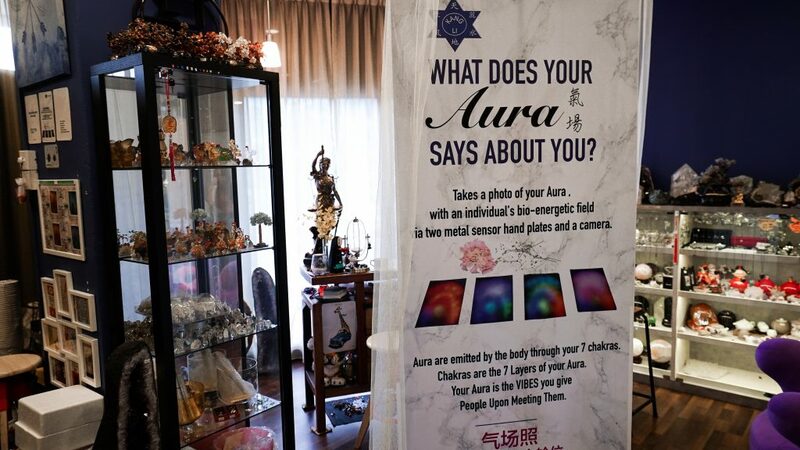 In search of answers, I found myself at the second floor of Fu Lu Shou Complex, where I decided to get an aura reading done at Kang Li Mineral Kingdom. The 32-year-old spiritual practitioner, Yi Xin, explained when I asked her why people are still going for spiritual readings amidst my reading. She has been working at Kang Li Mineral Kingdom for over 16 years now. Maybe it’s the warm smile staff wore or the soothing background music, but as I stepped foot into the shop, I felt welcomed and strangely at ease. Unlike what I had envisioned, the shop isn’t rundown and cramped with sculptures and scriptures. Canvases of scenic oil paintings decorated the walls while gemstones and agate crystals lined two rows beneath them. 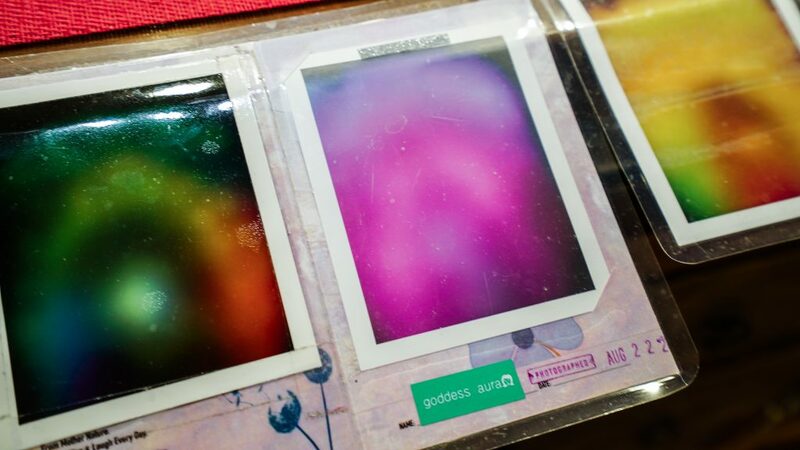 A counter smack in the middle of the shop is lined with polaroid-like prints of aura photography, with labels such as “goddess aura” and “rainbow aura”. After savouring the cup of berry tea they served, one of the staff ushered me to another spot to get my aura photographed. With a nervous smile, I made my way to a wooden bench positioned right in front of a black backdrop. A vintage looking film camera propped by a tripod sits a metre before me. The staff told me to relax and place my hands on the two metal hand prints thats by my left and right, although my mind was racing with questions, “What in the world is going on? What does this do? How does this work?”, I kept mum and did as told. I took a deep breath and flashed a smile. I felt like a kid whose portrait was being taken for the school yearbook, excited but also nervous, with no idea what outcome to expect. A few seconds passed before the shutter went off. 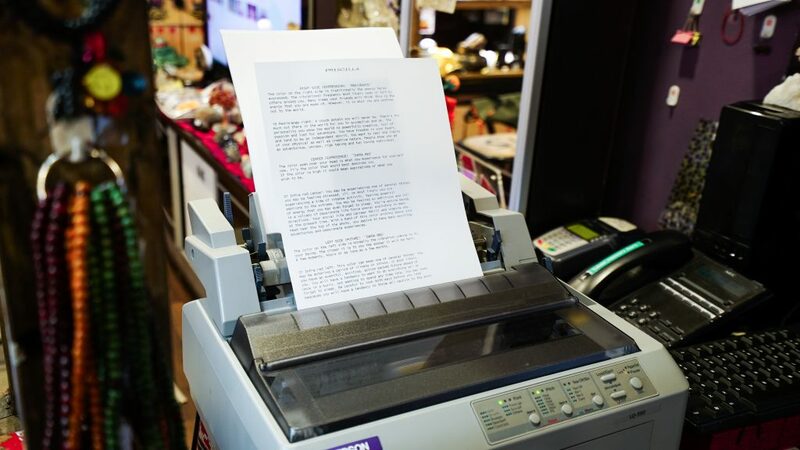 A polaroid emerges from the camera and the staff pulls it out as a nearby printer starts to run, printing what looks like an analytical report. I was then ushered to a more secluded corner of the shop, where Yi Xin greets me with a beaming smile. 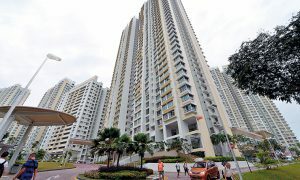 Unlike what’s portrayed in most films, Yi Xin is not dressed in a long flowy robe with a bandana in her hair and a cat purring on her lap. Instead, she’s got on a dark purple pantsuit, light makeup, and a gemstone pendant hangs from her neck. At this point in time, I just want to know what my aura portrait means. Is it good? Is it bad? What does it say about me? Yi Xin starts off by introducing to me the whole concept behind auras. On the left is what you’re attracting in. The right is what your future presents, and the centre is your core. My aura presently? A bright scarlet red, with a presence of orange at the core. After seeing all the colourful auras that were plastered on the counter before this, I couldn’t help but feel worried, and my defences were up, ready to dispel any misinterpretation that may come my way. 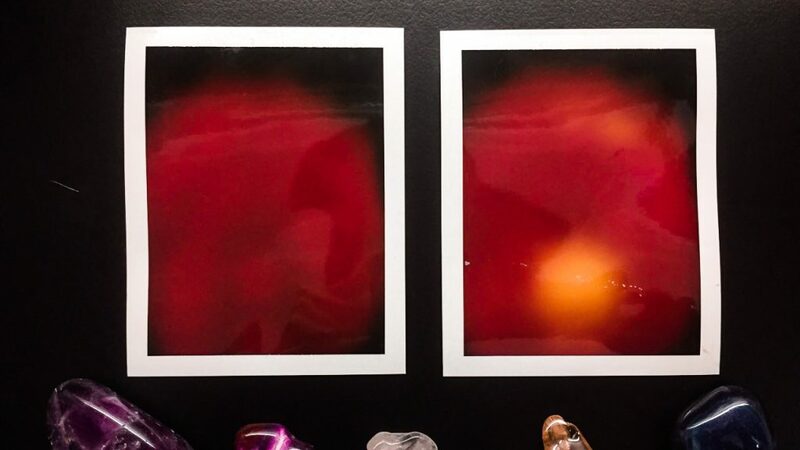 A month back, I’ve gotten my aura photographed for the very first time, and it was a dark brooding red. I showed Yi Xin my previous aura portrait and asked for her views. She placed both polaroids side by side and inspected it for a brief moment before giving me nods of approval. Yi Xin share that I’ve got what she’d refer to as the “warrior aura” and people with such auras have a strong personality and it’s hard to shape someone like us. For someone who has only met me for the first time, Yi Xin was surprisingly accurate in reading my personal life. I was in awe, but also bewildered that she was able to deduce that I’ve just came out of a tough period in my life and am now at a much better place. Any of us in this situation would be. What Is This Aura You Speak Of? Yi Xin laughed and beamed me a smile as she began addressing my doubts. She went on to touch on the origins of aura photography, which was invented by a professor, Dr. Guy Coggins, who wanted to create a tool to measure the human energy field in real time, and help therapists and healers better understand and aid those in need. I told her about someone I knew from school who claimed that they could see people’s aura with their own eyes and asked her if that’s possible. Yi Xin suggest that though it’s not impossible, it’s harder for it to be credible. Even she herself can’t see auras. After all, the auras “photographed” are actually credited to the biofeedback hand sensor and the aura machine. The hand sensor itself has various contact points on them which are connected with certain organs of the body. 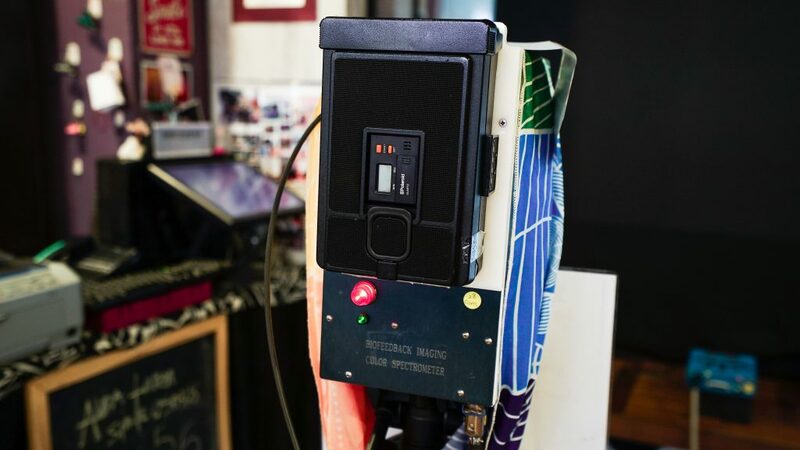 This allows the machines to measure the electromagnetic field of the user and in turn deliver information about the energetic and auric qualities of that person. The data is then projected as a radiant coloured glow on the polaroid. 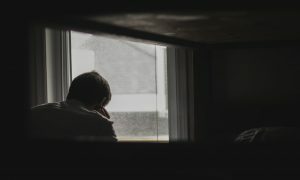 Yi Xin feels that such apps only defeats the purpose as it’s not the most authentic experience, nor will it be as in depth and personalised, thus unable to provide that sense of clarity that most people come to seek for. As the daughter of the owners of Kang Li Mineral Kingdom, Yi Xin has been surrounded by spirituality since young. 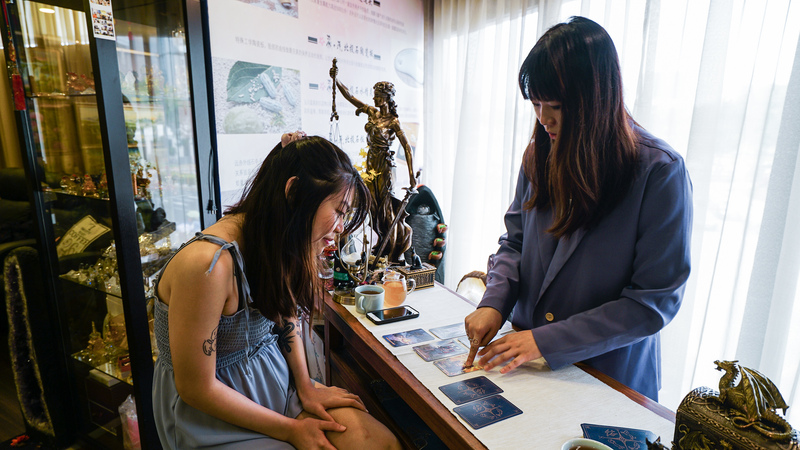 Besides aura photography, their shop also does tarot card reading, crystal healing spa, geomancy and feng shui, to name a few. Thus, it doesn’t come as a surprise that at just age 17, Yi Xin has already started to dabble in aura reading, tarot card, feng shui and crystal healing, among others. 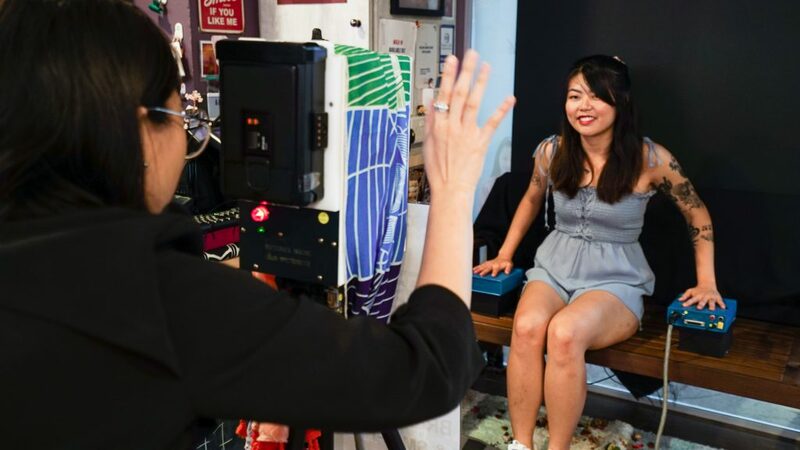 In her quest to become a better spiritual practitioner, Yi Xin also keeps a diary of her aura reading sessions, where she notes down her own analysis of each customer she served, describing how she felt the person’s mind was, how their “heart” is like, and how their energy felt like to her. 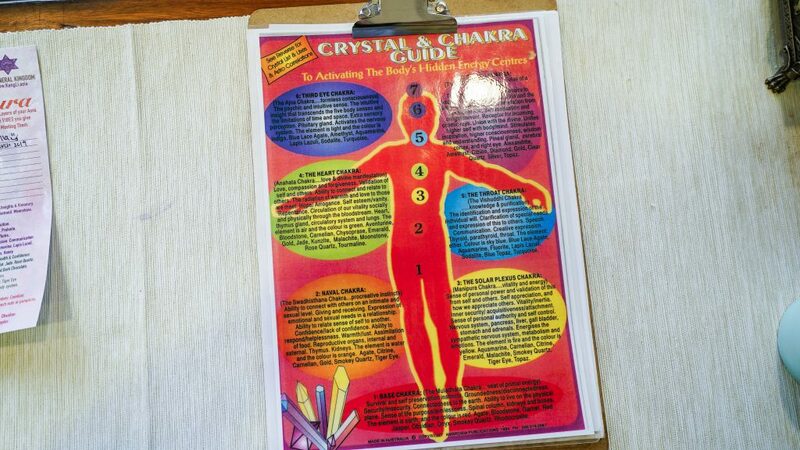 Besides that, she and the other staff in the shop also do aura checks regularly to better understand their own energy and state of mind. As with everything, there are a lot of people who are skeptical about spirituality in general. Yi Xin is fine with that, but then, there are people who are just downright disrespectful. “I’ve had cases where people would come in here and try to taunt me with comments like ‘what do you even know about auras, you’re too young’ or even challenge me by doing their own reading with their own customers in our shop. Some even come into the shop just to mess with the items.” she sighed as she recounts some of the less-than-pleasant encounters that she has had. These has often caused Yi Xin to feel dejected, especially so at the earlier stages of her career. But as the years went by, she has come to realise that no matter what she does, there will always be people who don’t believe in what she does. But that’s something she’s willing to accept, as long as she gets to continue helping people out there. However, It’s only recently that Yi Xin saw the light in her career. It is also because of cases like these that initially motivated her to make the switch from film (which she studied) to this line of work—it is more meaningful and fulfilling. Be it aura reading, horoscopes, or tarot card reading, the spiritual is always intangible and up to one’s interpretation and discernment. If a session of aura reading can provide solace to someone who felt like they’ve lost all hope, who are we to determine whether it’s right or wrong? After all, it’s human nature for us to yearn for something to believe in, something that will get us through the toughest of times and provide us with the reassurance of better days ahead. Whether we choose to believe it or not, it’s undeniable that spiritual readings are indeed beneficial to some. Perhaps we’ve been asking the wrong questions all along. Instead of being fixated on the whole “is this real” debate, what we should have been asking is “why?”. Despite all the skepticism, Yi Xin has accepted that hers is not a path that is recognised by most people. It doesn’t matter either because it is not for her to decide what other people speak of her. 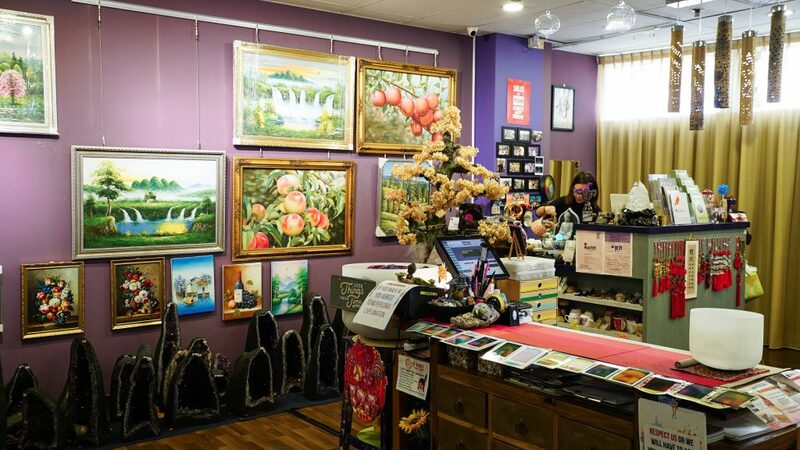 Ultimately, her biggest wish is for those who visit her shop for spiritual readings to leave the place with a new found sense of clarity to take on the world with zest once more. And if she can be that person to enable her customers or make them that little bit happier, it’s enough.